In addition to being strong supporters of all Birch Bay Chamber of Commerce events, the C Shop also puts on or participates in a number of other events. One of the most anticipated annual events is their Easter Egg Hunt, and this year it was another big success for our community. The C Shop opens for the 2012 season on the Friday of Mothers Day Weekend, but as their website says, “The C Shop will be open on sunny days after we get most of the building painted.” So if you get a chance, stop on by and say hello to April’s Birch Bay Chamber of Commerce Member of the Month. 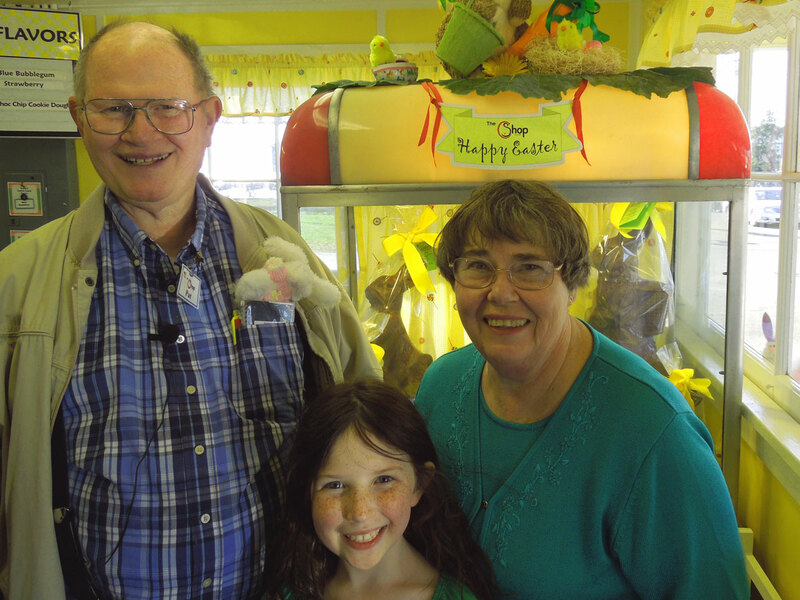 Of course, their homemade Chocolate Bunnies made their way into Easter baskets from Blaine to Bellingham and beyond. Going on 35 years at their current location, and 41 years in Birch Bay, the local knowledge of Patricia and Patrick Alesse is amazing. For further information, you can contact Patricia or Patrick Alesse (360) 371-2070, visit their website, (www.thecshop.com), or just stop by.